Tiling is always an excellent choice for conservatories, it will light the style and give a sense of comfort. A backsplash with patchwork is of course the place to start; it will add originality.Choose cream colours like raspeberry or mint, beside a white sink it will give a superb look. Patchwork style tiles will adapt well to a country style kitchen giving it an authentic feeling. The corridor always gives the first impression of your home. It’s the first thing you see when you open the main door. 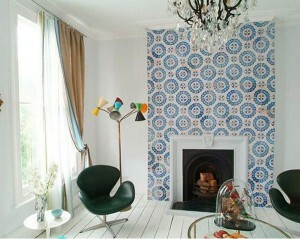 I think adding patchwork tiles in your hallway is a great way to set the décor. 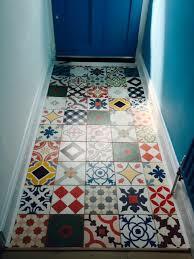 Particularly decorative, using patchwork tiles in your hallway gives it character without many efforts. What better way to revitalise your chimney than adding rustic tiles with texture in order to make the hearth more interesting? 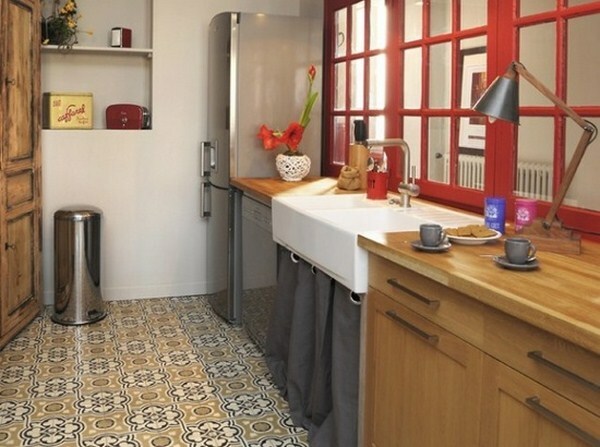 By selecting tiles adapted to the style of your home, you will give a cohesive look but still timeless. It is possible to lay these concrete tiles outside, as it’s often the case in hot countries. However in our moderated regions, the ground might degrade because of bad weather, frost and get covered with moss which can have a particular charm. 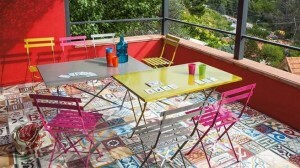 If a room has a weird shape, the patchwork tiling will give it a better impression than painting it. You can even cheat by using stickers. 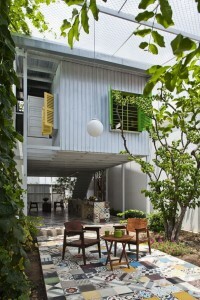 There are many colours combination and always think ‘more is better’ and be bold. However it is important to keep a balance. 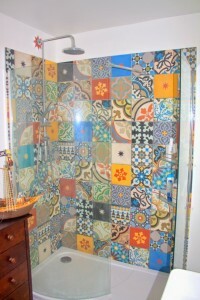 Start by choosing tiles of same sizes with complementary shades. 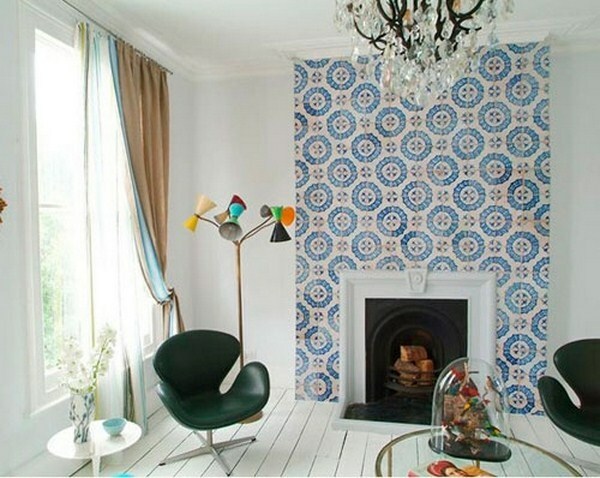 If you are not sure whether this style is for you, start gently by adding a few tiles here and there, on shelves for example. After the installation, you will need to apply a wax polish with a rag to make the tiles less porous, therefore less permeable.Tiles need to be cleaned regularly with a soft detergent. 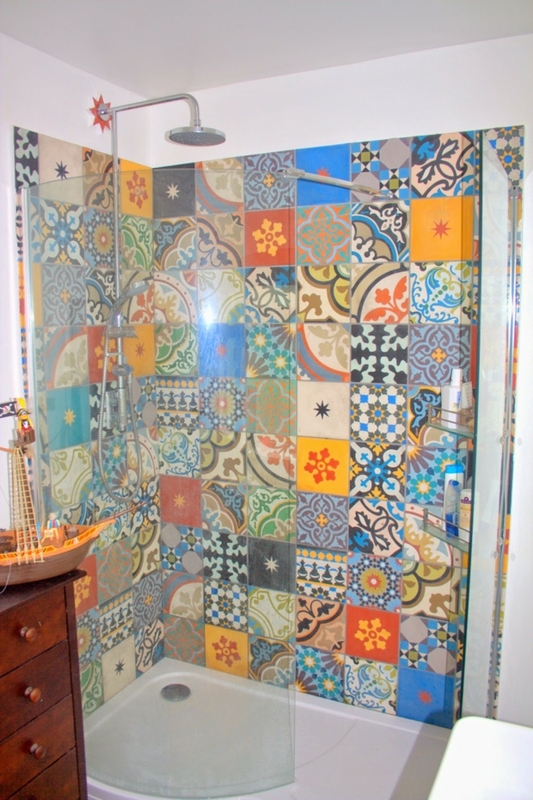 If you are looking for a professional tiler, simply post a job on and receive three quotes. For more tiling ideas and inspiration check out our guide of the 15 best Interior Design blogs and websites.